How to target specific sites with Drush when using Multisites? I have a Drupal Multisite set up. It contains two sites, but the core Drupal install has no site. However, because I have no site installed in the core folder, I always get an error message stating that the core site is missing. Is there any to use Drush to only update the sub-multisites and skip the core one? I know I can run Drush from the sites directory of the sub-sites, but that isn't very convenient when I want to target all sites. The reason I am using Multisites is because both sites share themes and user-logins. When you say "core site", do you mean the site in sites/default? Is it an option to just delete the settings.php file at sites/default/settings.php? If you want, you may also store your alias file in /path/to/root/drush or /path/to/root/sites/all/drush, but if you do this, Drush won't be able to find your alias file unless you specify --root on the commandline, or change your working directory to be somewhere inside of /path/to/root. You need to setup a new Drush alias file for running the command on the remote site. Typically you name the file as <project_name>.drushrc.php. 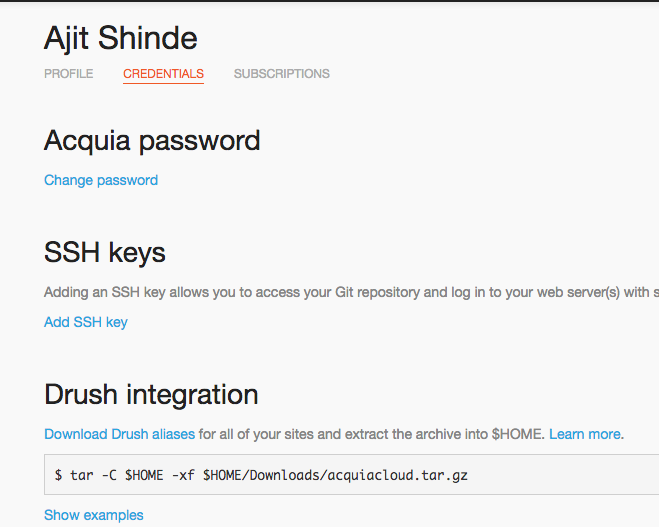 You then need to place this file in the .drush directory in the home directory of your logged in user. See this link for a sample Drush alias file. UPDATE: If you are hosting your remote site on Acquia or Pantheon, you get to download the alias file directly. Not the answer you're looking for? Browse other questions tagged 7 drush multi-site or ask your own question. How to share user and user profile in a multisite environment? Does the drush up command work on multisite? How do you use 'drush site-install' to install a multisite with separate databases using a single command?